This name uses Spanish naming customs: the first or paternal family name is Arenal and the second or maternal family name is Ponte. Concepción Arenal Ponte (Ferrol, 31 January 1820 – Vigo, 4 February 1893) was a Spanish feminist writer and activist. Born in Ferrol, Galicia, she excelled in literature and was the first woman to attend university in Spain. She was also a pioneer and founder of the feminist movement in Spain. Her father, Ángel del Arenal, was a liberal military officer who was often imprisoned for his ideology and opposition to the regime of Ferdinand VII. He fell ill in prison and died in 1829, when Concepción was aged 8. She moved to Armaño (Cantabria) with her mother, and then to Madrid in 1834, to attend the school of the Count of Tepa. Against her mother’s wishes in 1841 she entered the Faculty of Law of the Central University (now the Complutense University of Madrid), becoming the first woman in Spain to attend University, where she was forced to wear masculine attire. She also attended political and literary debates, unheard of at the time for a woman. She graduated and in 1848 she married lawyer and writer Fernando García Carrasco. They had three children: a daughter that died shortly after birth, and two sons, Fernando (b. 1850) and Ramón (b. 1852). In her later years, her health being a permanent cause of concern, Concepción Arenal lived with her son Fernando and Fernando's second wife, Ernestina Winter. Concepción Arenal and her husband collaborated closely on the liberal newspaper Iberia until Fernando’s death in 1859. Penniless she was forced to sell all her possessions in Armaño and moved into the house of violinist and composer Jesús de Monasterio in Potes, Cantabria, where in 1859 she founded the feminist group Conference of Saint Vincent de Paul in order to help the poor. Two years later the Academy of Moral Sciences and Politics awarded her a prize for her work La beneficencia, la filantropía y la caridad [Beneficence, philanthropy and charity]. It was the first time the Academy gave the prize to a woman. In later years she published poetry books and essays such as Cartas á los Delincuentes [Letters to delinquents] (1865), “Ode against slavery” (1866), El reo, el pueblo y el verdugo, o, La ejecución pública de la pena de muerte [Convicts, the people and the executioner, or, The execution of the death sentence] (1867). In 1868 she was named Inspector of Women's Correctional Houses and in 1871 began fourteen years of collaboration with the Madrid-based magazine The Voice of Charity. In 1872 she founded the Construction Beneficiary, a society dedicated to building cheap houses for workers. 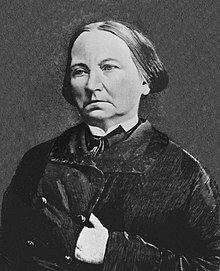 She also worked with the Red Cross helping the injured of the Carlist War, working in a hospital in Miranda de Ebro, later being named Secretary General of the Red Cross between 1871 and 1872. In 1877 she published Penitentiary Studies. Concepción Arenal died the morning of 4 February 1893 of chronic bronchitis in Vigo, where she was buried a day later. Her epitaph is her personal motto: "To virtue, to life, to science." She had a close relationship with krausism intellectuals. She was admirer of Fernando de Castro's work about women´s education and also she was a member of Ateneo Artístico y Literairo de Señoras directors’ board keeping up to date with the progress made by Asociación para la Enseñanza de la Mujer (Association for Teaching Women). Years later, she collaborated regularly with Boletín de la Institución Libre de Enseñanza [Journal of the Institution of Free Teaching] submitting articles about criminal and feminist topics. In 1982 Arenal participated-although she was not present- in the Congreso Pedagógico Hispano-Portugués-Americano [Congress of Hispanic-Portugues-American Pedagogy] hold in Madrid and led by Rafael Mª de Labra. She presented a paper about “La educación de la mujer” [Women´s education] in the fifth section of the congress dedicated to Concepto y límites de la educación de la mujer, y de la aptitud profesional de ésta [The concept and limits of women´s education and her professional aptitude]. The section dealt with the debate of the similarities and difference between women and men's education, what tools were necessary to organize a good education system for women, what aptitudes women had for teaching and other jobs and women´s physical education. The vice-president of this round table was Emilia Pardo Bazán. Arenal's position was supporting women’s education without limitation. Arenal's achievements were extraordinary in a largely traditional Spain, focusing her work on those marginalised in society. She wrote not only extensively on the state of prisons for both men and women, but also on the role of women in society in works such as La Mujer del Porvenir [The Woman of the Future] (1869), The education of women, The current state of women in Spain, The work of women, La mujer de su casa [The woman of the house] (1883) and Domestic service. It is this work which made her known as the founder of the feminist movement in Spain. A statue to Concepción Arenal has been erected in Madrid, and the Library of Law, Political Sciences and Labour Relations of the University of Santiago de Compostela bears her name. Ideologically, Arenal was a reformist deeply rooted in Christian doctrine. Arenal, Concepción (1851). Fabulas en verso originales [Original fables in verse] (in Spanish). Madrid: Tomas Fortanet. —— (1861). La beneficencia, la filantropía y la caridad [Beneficence, philanthropy and charity] (in Spanish). —— (1865). Cartas á los Delincuentes [Letters to offenders] (in Spanish). Coruña: Imp. del Hospicio, a cargo de D. Mariano M. y Sancho. —— (1867). El reo, el pueblo y el verdugo, o, La ejecución pública de la pena de muerte [The inmate, the people and the executioner, or the public execution of the death penalty] (in Spanish). Madrid: Estab. Tip. de Estrada, Díaz y López. —— (1869). La mujer del porvenir [The woman of the future] (in Spanish). Seville: Eduardo Perié. —— (1881). La instrucción del pueblo [The instruction of the people]. Memorias presentadas en la Real Academia de Ciencias Morales y Políticas (in Spanish). Madrid: Real Academia de Ciencias Morales y Políticas. —— (1883). La mujer de su casa [The woman of the house]. Memorias presentadas en la Real Academia de Ciencias Morales y Políticas (in Spanish). Madrid: Gras y Compañía. —— (1895). Estudios penitenciarios [Prison studies] (in Spanish). Madrid: Libr. de Victoriano Suárez. ^ "Concepción Arenal – Women and Charity in Spain, 1786-1945". mujeresycaridad.umwblogs.org. Retrieved 2019-04-01. ^ "Arenal, Concepción (1820–1893) | Encyclopedia.com". www.encyclopedia.com. Retrieved 2019-04-01. Wikimedia Commons has media related to Concepcion Arenal. This page was last edited on 9 April 2019, at 22:56 (UTC).